Media company ExtendD, the creator of Chaptur, focuses on 'news junkies', people who spend most of their time online and are very interested in national and international news stories. Engineer Sebastiaan Besselsen considers himself part of this group. "However, I increasingly felt as if I was lagging behind. News broadcasts are often not really live and lack the input of locals. When my business partner and I tried to follow the aftermath of the earthquake in Japan in real-time this past spring and we kept coming across the umpteenth rerun of CNN, we set to work." The idea for Chaptur was born. "We want to be in the front row and not have to depend on the news editors choosing topics for us." At the same time, the editors are a target group for Chaptur as well. "A growing number of editors follow social media closely. They realize that the news is still on the street, like it used to be, but now everyone is a potential reporter", according to Benny Schuurman, creative director at ExtendD. 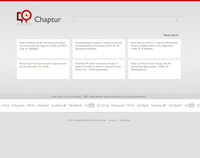 "Chaptur takes a lot of work off their shoulders. 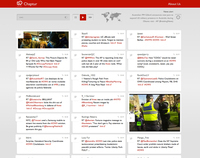 Using Chaptur, we follow over a hundred news portals and social platforms worldwide. 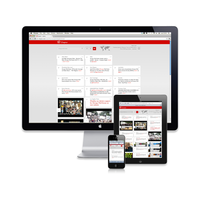 We bring the most relevant articles, responses and comments, as well as photos and videos, in real-time. 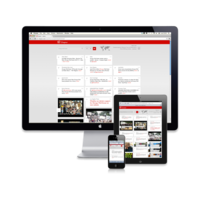 To do this, we use keywords and follow news alerts that Chaptur picks up." 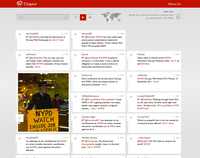 In contrast with existing search engines, Chaptur is completely live. And on Chaptur, the locals, who are on site when the events occur, bring the news. Because of that, new developments are news before they are reported by news agencies. "It is mesmerizing to see the news pour in on Chaptur before you have heard it anywhere else", says Schuurman. "Whether you look at it on your iPad or personal computer, or on your smartphone while you're in the train, you feel like you are where the action is." Both young internet entrepreneurs cite the uprising in Egypt as an example of how Chaptur can distinguish itself from the traditional news media. "Even before there were actual protests at the Tahrir square in Cairo, Chaptur could have recognized from the calls for protest on Twitter and Facebook that something was afoot." Or as media entrepreneur Oscar Kneppers of Rockstart puts it: "Chaptur puts its users at the helm. In the 21st century, media tycoons such as Rupert Murdoch can't keep up with small starting businesses. Thanks to the web, the world becomes increasingly more democratic and open, and a website like Chaptur fits perfectly into this development." ExtendD BV is part of the MixCom Media Group BV in Lelystad, the Netherlands.